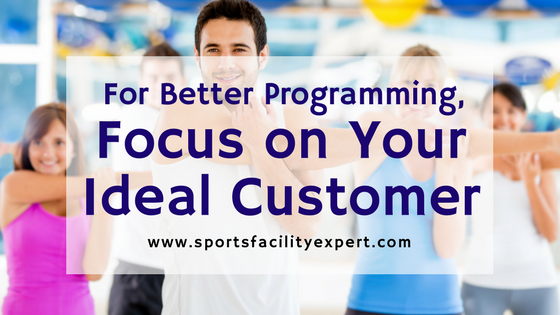 When it comes to creating sports academy programming, we often get it backwards. First, we get excited about a new technique or idea to help our athletes. Then, we try to convince our customers how cool it is. We should start by focusing on our customers’ problems instead. When we package programs as tailored solutions to real and pressing needs, they’re much easier to sell. A great way to get a clearer focus on these ideal buyers is to create customer personas. Sometimes called “customer avatars” or “buyer profiles,” customer personas are characters that you make up to represent your main customer types. I’ve found that picturing a specific customer as I plan new products keeps me focused on what will serve my target market. You can create as many as you want, but I’d suggest starting with a primary target and then making a few secondary ones. Start with basic information about your ideal customer. List data such as occupation, age, gender, income, marital status, parenting status, education level, and the locations of their home and office. How can you help get your customer to his end goal? Note what’s important to him personally and how this would influence his purchases. What stands in the way of her achieving her goal? What’s missing from existing solutions? Think about the objections that will go through this customer’s head as you make your sales pitch. What would stop him from buying? Note how this person typically influences the decision of whether to buy from you. Would she make the final choice? Is her approval essential or secondary? How can you attract the eyes and ears of this person? Note the books, magazines, web sites, and blogs he visits. Consider the people he listens to in the community. Give your customer persona a name so you and your staff can refer to it easily as you develop marketing campaigns and programs. His goal is to give his son/s the best odds possible at a spot on a college team. He played baseball himself when he was a kid and is passionate about it. He attends most of his son’s baseball games. He’s competitive and cares about winning records. His son’s training program is something of a status symbol to him. The local high school program has limited options. Coaching staff there don’t have the resources to focus too much on getting any individual kid to the college level. Other local baseball facilities have the equipment but no skilled coaching, or don’t project the status of a high-quality, elite program. Danny’s main concern is choosing the best possible program in the area. He will need to be assured with staff credentials, testimonials from college players, and details on a selective tryout process. Might want a preview of the team’s tournament schedule for scheduling conflicts. Since Danny isn’t the one who typically does the kids’ scheduling and the family budget, he isn’t the one who pulls the trigger on enrolling his son. But his approval is a key part of the process. Follows local high school, college and pro teams and writers on social media and on TV. Talks frequently with other team dads. In the loop on what’s going on generally at the high school and in the school district. Of course, you can get much more detailed with these profiles than the brief example I just listed. More details can give you an even better feel for him or her as a person. Some customer profiles include details such as favorite quotes and price sensitivity, for example. You can even include a stock photo to give the character more personality. However, even simple profiles can help you refocus on who exactly you’re serving. Remember that trying to cater too much to customers who aren’t your ideal target market can waste your time and energy. Think of the best real-life customers you’ve had: low customer service needs, high loyalty and satisfaction. Base your customer profile on one of them, or a combination. When you’re finished, you may find that these customer profiles can come in handy for more than marketing and programming. They can also be helpful in training new staff. And if you’re still in the planning stage of your sports facility, in-depth customer profiles can be a nice addition to your business plan. Have you created customer profiles for your sports facility? Let me know. 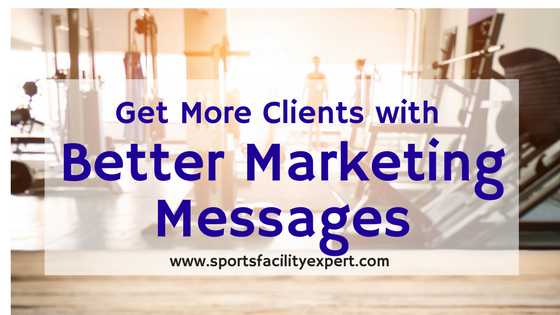 And if you want to try eSoft Planner, a scheduling software for sports facilities that also includes a customer relationship manager, click here to request a free custom demo.